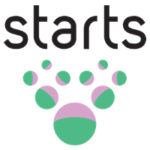 STARTS is an initiative of the European Commission under the Horizon 2020 research and innovation programme. Europe relies on innovation to compete on the global stage and to make our society more inclusive and sustainable. To create value for citizens, the industry has to think more holistically about technologies and services that put the people in the center. Today it is recognized that, in addition to scientific and technological skills, creativity and co-creation are vital to allowing innovation to happen and be valuable for society. With alternative methods of exploration and critical viewpoints on technology, artists can contribute decisively to innovation and technology that is human centred and adapted for society. In this way, the arts act as a catalyst for the conversion of science and technology knowledge into novel products, new services, and open approaches in society, research, and business. Recognizing the importance of these trends, the European Commission has launched the STARTS initiative to promote the inclusion of artists in innovation projects. STARTS wants to fully engage the creative forces that lie at the intersection of the arts with science and technology into innovation processes in Europe. > Support collaborations between artists, scientists, engineers and researchers to develop more creative, inclusive, and sustainable technologies. > Profit from the creativity and the critical thinking of artists to reflect on novel uses of technology and allow technology to be more seamlessly integrated into society.